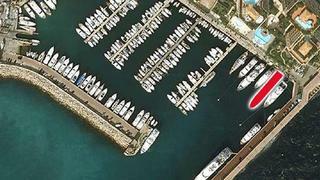 More sales news and this time it's a berth as I'm told that Alex Busher at Edmiston & Company has sold a 60m superyacht berth in Cap D’Ail representing buyer and seller. Centrally located in the Mediterranean, Cap D’Ail is an ideal embarking and disembarking port with excellent transport links to Nice airport and the Monaco heliport. There are also excellent local facilities and close proximity to La Ciotat and Genoa shipyards for maintenance work or refit facilities. With a lease until end-2027, the asking price was €4.45 million.